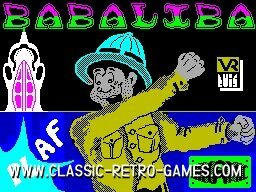 A ZX spectrum classic by Spanish software house Dinamic Software. 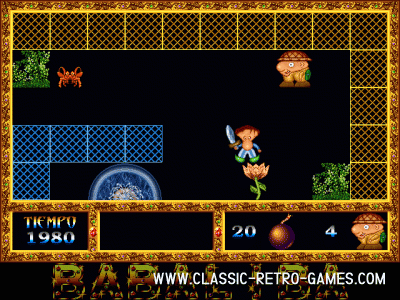 In this action, adventure quest game you must collect treasure, princesses and ofcourse the letters Babaliba in that specific order. 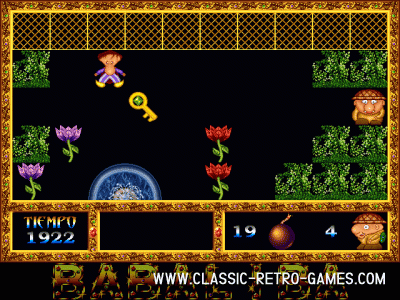 The remake by Compiler software has all the game elements, but much more smooth graphics. 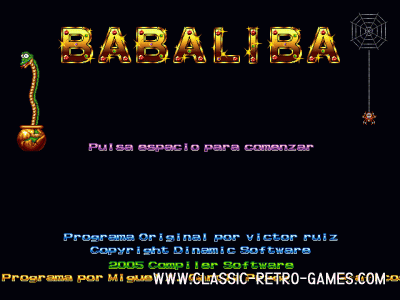 Download the free Windows remake to relive Babaliba. Currently rated: 4.8 / 5 stars by 50 gamers.